DAVID LE/Staff photo. 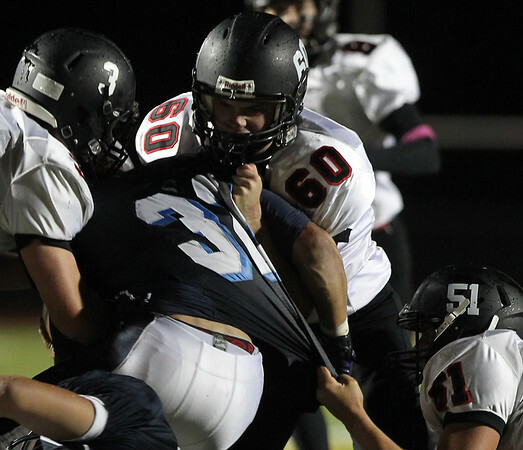 Marblehead's Harry Craig (3) Nick Corsini (60) and Bo Millett (51) combine to drag down Peabody running back Doug Santos. 10/2/15.